Stem Cell Therapy for Knee is available at Advancells.com. If you are one of the patient’s looking for Osteoarthritis treatment in India, you’re are at webpage. The more and longer we use something, the faster it wears down, even in the case of our joints. The daily wear and tear of our knees and other joints makes it harder to run, walk, bend or even put weight on your knees. If the condition worsens, then your doctor may prescribe you for a surgery. It is a well-known fact that any form of surgery has its own inherent risks like adverse reactions to anaesthesia, post-op infections, blood clots, your body rejecting the implant, etc. Also, it takes a long recovery time after a surgery which may be frustrating. With the growing age, this becomes more challenging and adds up to the fear of going into the surgery. Osteoarthritis is the most common form of chronic joint pain conditions, affecting millions of people worldwide. Breakdown and eventual loss of cartilage of knee or other joints are the primary features of this condition. Cartilage is a type of protein which acts as a “cushion” between the bones of the joints. Osteoarthritis is partly a result of natural aging of the joint and commonly affects the hands, feet, spine, and large weight-bearing joints, such as the hips and knees. The symptoms of osteoarthritis include stiffness of the joints, sharp pain which can be for few minutes or can stretch upto longer durations, tender and weak joints, swelling and loss of mobility in joints and deformalities in bones are a few to count. Stem cells have an enormous capacity to differentiate into specialized tissues as well as repair and regenerate the damaged cells. Stem cell therapies are being used to treat a number of orthopaedic conditions like osteoarthritis, rheumatoid arthritis, tennis elbow, head and shoulder pain, bone regeneration, injuries to ligaments or tendons. 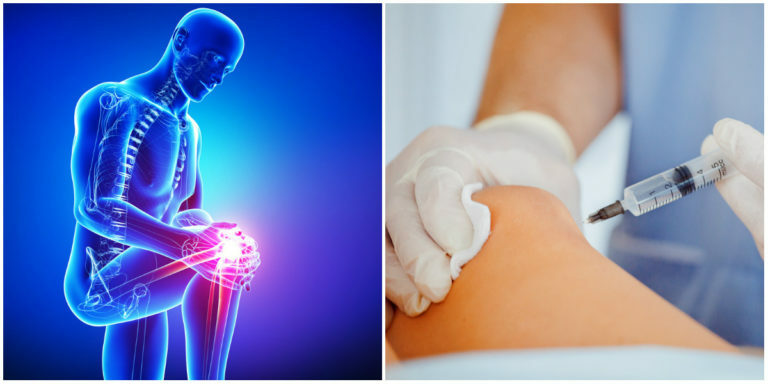 Stem Cell therapy for knee has helped immensely in alleviating the pain and has shown great results in the treatment of stuffed joint problems and arthritis as it is less invasive than surgeries and safe. The various advantages of obtaining a stem cell therapy for knee is, it greatly enhances the capability of cells to regenerate themselves, it shortens the duration of the treatment , no surgical complications are involved in the process, the patients need not suffer the pain involved during and after the surgery, no foreign cells are used as the Stem Cells are harvested from the patient’s own body hence, complexity involved with rejections is not an issue, usage of anti-inflammatory or steroidal drugs are not needed which can be harmful in long runs. Stem Cells found in bone marrow or adipose tissues are the best at promoting musculoskeletal healing. During the process of Stem Cell Treatment for knee pain, the stem cells are withdrawn from the patient’s own cells isolated from autologous tissues such as bone marrow (hip bone) and/or adipose tissue (belly fat) with the application of local anaesthesia. The entire process takes about 7-8 hours. These cells are then purified and enriched with the pure population of stem cells in the labs under aseptic conditions and are re-injected precisely with the help of intramuscular injections to optimize a maximum number of cells at the site of injury for successful results. After this, natural repair process of degenerated and injured tendons, ligaments, and arthritic joints initiate which enhances cartilage formation and suppress certain enzymes that lead to cartilage degeneration, further aiding in the release of inflammation which causes osteoarthritis of the knee. Post-treatment the patient is asked to visit the doctor after a specific period of time for providing the rehabilitation therapy with the help of physiotherapy and other adjuvant techniques for better and faster recovery. Osteoarthritis stem cell therapy or knee stem cell therapy is a miraculous alternative for patients undergoing surgeries for chronic joint pains as it can help alleviate the pain and inflammation in joints. It provides patients with better quality of life and health and provides faster results with cost-effectiveness.